Description Same image as photos 791 & 1638. Printed from the glass plate negative. Photo taken by Will Bickner. The image is mistakenly reversed; 672b is correct orientation. 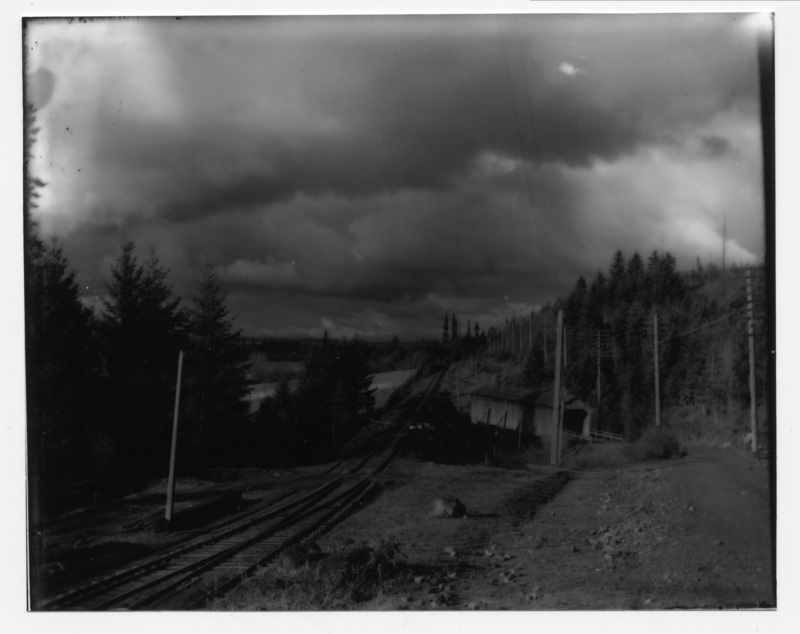 Written on the negative sleeve: R R [ railroad] scene; trestle sold [? }; Bridge - Wilsonia - Oswego, Ore. 22.